As a roofing contractor, it’s important that you protect the interests of your business, employees and clients. The only way to do so effectively is by investing in roofing contractor insurance! In Jacksonville, FL, Alliance & Associates Commercial Insurance Agency provides local roofers insurance that guarantees your assets are always covered. We work closely with you in order to create an insurance plan that meets the unique needs and size of your business. Providing Insurance for Roofers over the Last 50 Years! Our local office was founded in 1961 and recently teamed up with Alliance & Associates Commercial Insurance Agency to be able to offer even more options. This means that we have been “Giving You Choices and Options” for almost 53 years! Alliance & Associates Commercial Insurance Agency has been in business since 1990. Now, as we are Alliance & Associates Commercial Insurance Agency, we can offer contractors, companies, and industry professionals specialized insurance coverage to meet their needs working with an experience team of agents. No matter how small your business is, or how limited your resources are, you can depend on us for the ideal insurance solution. 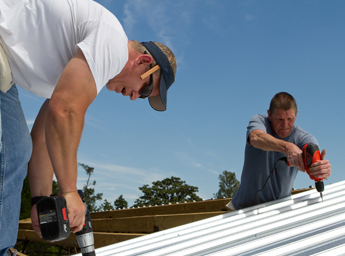 Our roofing company insurance is designed specifically for you and your company. We take the time to answer any of your questions, as well as address any concerns you may have regarding the insurance process. We’ll even provide you with your very own insurance officer, ensuring that someone is always available to provide you with the information you desire. For more information regarding our roofing contractor insurance, contact Alliance & Associates Commercial Insurance Agency today! 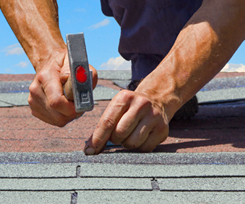 Our roofers insurance is available for both large and small roofing businesses. We proudly serve clients from Jacksonville, Palm Coast, Lake City, Palatka, Gainesville, Orlando, and Tampa, Florida.